Caller ID may be an afterthought for many communications service providers (CSPs) and over-the-top (OTT) players. But the reality is that 100 percent of subscribers—both business and residential—view it as valuable. We believe that makes it an opportunity. See how enhanced caller ID will help your business differentiate services and gain new revenue opportunities. 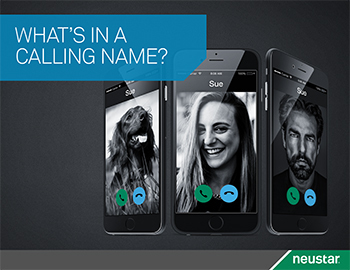 Thanks for downloading What’s in a (Caller) Name?. We'll email the link shortly so you can download the e-book. For more immediate access to the report, please download it here.